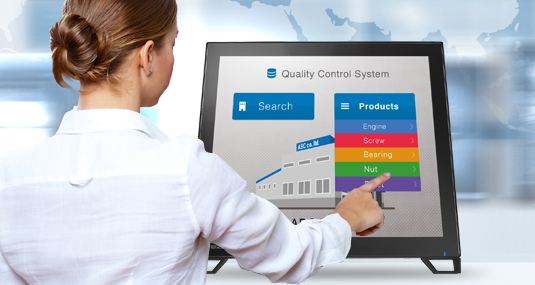 Categories: DuraVision, Touch Panel Monitors. The DuraVision FDS1782T features projected capacitive touch technology which is more durable and reliable compared to other touch technologies. 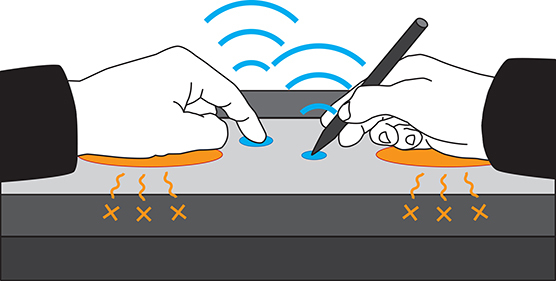 The monitor accepts touch input from a bare finger or dedicated stylus. The screen can detect up to 10 simultaneous touches so you can easily operate a variety of applications in almost any environment. The monitor is equipped with palm rejection which allows you to rest your hand directly on the screen without causing any unintended touch input. Palm rejection minimum activation area is 2 x 2 cm. 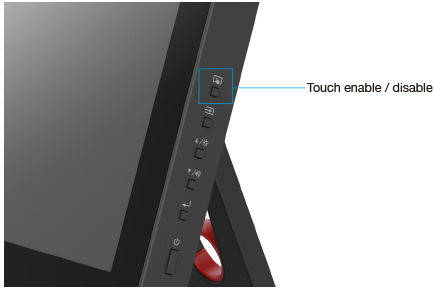 Users can easily turn touch detection on or off by pushing the button conveniently located on the monitor’s side. The monitor is equipped with technology which calibrates the touch sensitivity to minimize incorrect touch reponse due to environmental factors and electromagenetic noise. 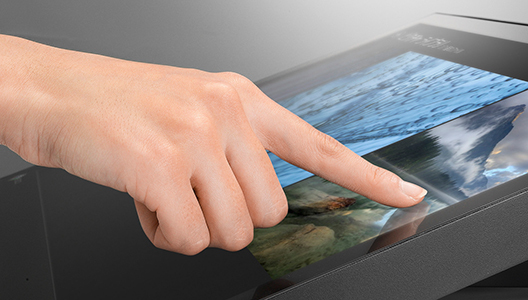 This ensures that the screen maintains accurate touch interaction during use. The monitor can be used with a touch stylus for smooth writing. See stylus compatibility details here. The fully flat surface provides a seamless touch experience to the edges of the screen. This makes swiping motions and scrolling a breeze. 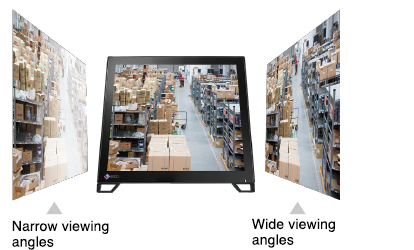 The DuraVision FDS1782T uses an LED-backlit IPS panel with wide viewing angles that minimize color shift and contrast changes when viewing the screen from the side. The surface of the panel is also coated with an anti-glare treatement for further clarity in bright ambient environments. 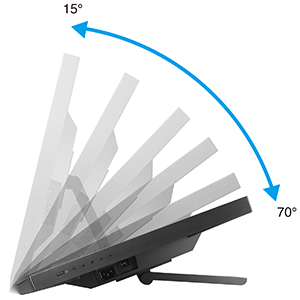 The equipped stand provides flexible positioning to allow the monitor to rest on your desk like a laptop and recline back to your desired angle. 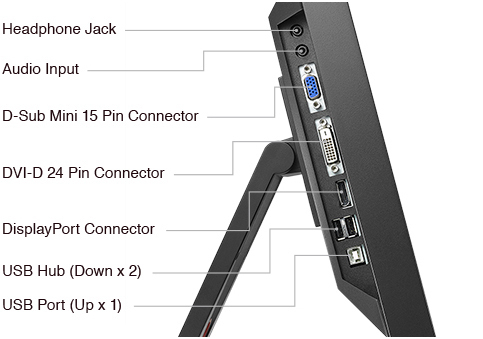 This makes it easy to place the monitor in the ideal position for comfortable use in any environment. The monitor is equipped with DisplayPort, DVI-D, and D-Sub inputs which are conveniently located on the side for easy access. The touch screen has a non-scratch surface made of reinforced glass with a hardness of 5H (Mohs scale), making it durable enough to withstand long-term use in a range of environments. The DuraVision FDS1782T is backed by a three year warranty which covers all components to ensure a long service life.